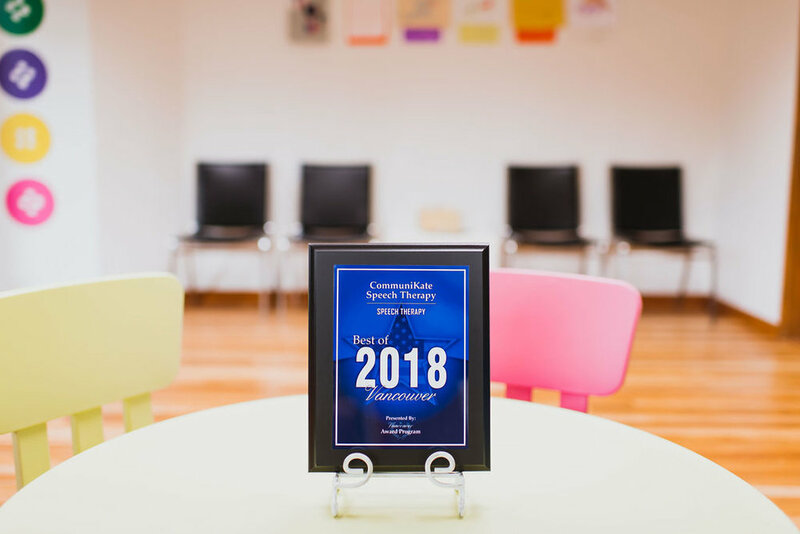 CommuniKate is the result of months of brainstorming ways to best meet the need for parent eduction, speech therapy, and family support. 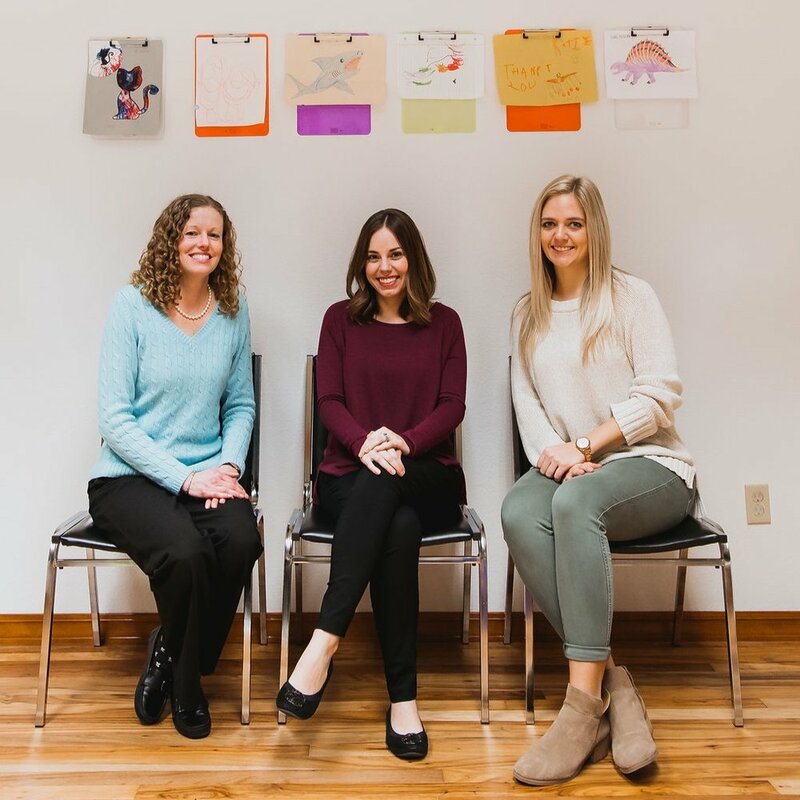 We have a passion for working with children and their families to create personalized speech therapy goals that will make a difference in their lives. 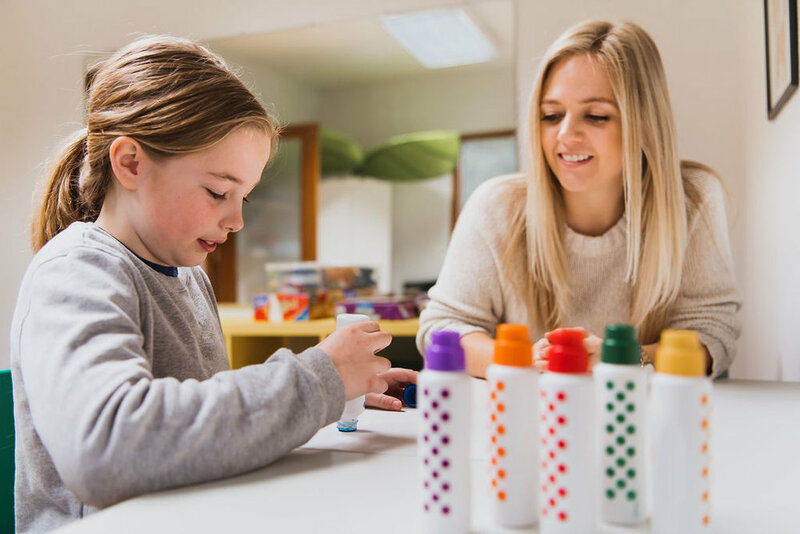 We also understand the hustle of everyday life and strives to make therapy activities fit in to daily routines like bath time, grocery shopping, or bedtime. Working together and targeting speech in daily routines can result in quicker progress and less time out of the day to be in therapy. “I remember watching therapists work with my brother and I think that makes all the difference. I know what it feels like to be on the other side and I remember what my family wanted and needed in a speech therapist”. Growing up with an older brother with Down syndrome, Katie’s exposure and interest to the field of speech language pathology started at a young age. She always enjoyed working with her brother on his “speech homework” and participating in sibling based therapy. After growing up in Spokane, Washington, Katie attended Washington State University where she earned her Bachelor’s Degree in English with a focus on Rhetoric and Professional Writing in 3 years. She then attended a Post-Baccalaureate program at Portland State University to earn all the prerequisite requirements to attend a graduate program in speech-language pathology. Katie completed her Graduate Program at Pacific University, graduating with a 4.0 GPA and completing many pediatric based clinical rotations. After graduating, she immediately started her career by completing her Clinical Fellowship in Pediatric Rehabilitation at the Children’s Center at Legacy Salmon Creek. She has continued her training by taking many continuing education courses specific to pediatric speech and language development. Currently, Katie lives in the Felida neighborhood of Vancouver, Washington with her husband and their cat. Rachel's first exposure to the field of speech language pathology began in elementary school when her brother suffered from a speech sound disorder. He frequently used Rachel as his translator, and from a young age, attended speech therapy. Rachel attended the College of Wooster in Ohio and naturally gravitated towards classes in Speech Language Pathology. After earning her Bachelor’s Degree in Communication Science and Disorders with a minor in Education, Rachel spent summers working in private practice in Anchorage, Alaska. There, she administered Lindamood Phoneme Sequencing, Seeing Stars and Visualizing and Verbalizing Programs. After attending The Ohio State University, Rachel received her Master’s in Speech Language Pathology. Rachel finished her Clinical Fellowship Year in Columbus City Schools, married, and moved to Vancouver, Washington where she initially worked for the Vancouver and Evergreen School Districts. Rachel enjoys spending time with her husband and two children camping, hiking, crafting and reading. “Growing up, my best friend’s mother was a speech therapist. She inspired me to further my education in this field. Hello! I’m Brittany and I am a new employee here at CommuniKate Speech Therapy. I’m a speech-language pathologist assistant, living in Vancouver, WA. I just moved here the end of November 2018 and I am still getting used to the super chilly weather and the greenery! I live here with my little family of 3, the 3rd being my dog Banks! I love doing a lot of everything spanning from reading to hiking. I enjoy sports (mostly football, go Broncos!) cooking, baking, exploring and traveling. My big trip this past year was the Bahamas and I plan on doing a Europe trip this year! I was born and raised in Phoenix, AZ where it was much dryer … and warmer than Washington. I have both a younger brother and a younger sister. I attended Arizona State University where I received my BS in Speech and Hearing Sciences and a minor in Family and Child Development. While in school, I worked hard as a habilitation provider to a little boy with autism. While working with him, I was able to build relationships and connections with speech therapists, occupational therapists as well as physical therapists. With these connections, I was offered a job at an amazing home-based/clinic-based clinic as a speech-language pathologist assistant. I stayed there for 2 ½ years before moving up here to CommuniKate Speech Therapy! I love watching kiddos succeed and move forward in their progress. I love the determination of the families and the help/support I have everyday. I can’t wait to grow as a therapist here and meet all of you!